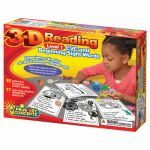 With 3-D Reading kits, the essential skills of phonics, sight word recognition, visualization, and comprehension all come together for beginners in the actual, magical act of reading! Children read a short, charming story, then choose the appropriate objects and place them in the correct spots on the illustration. Children experience the joy of “getting it”—of moving beyond just recognizing and decoding isolated words on a page, to truly understanding the meaning of passages they have read. 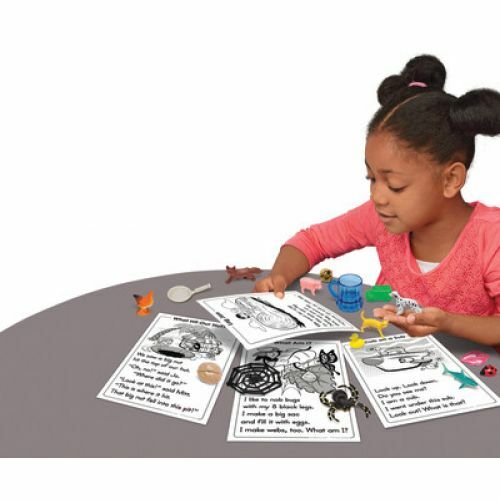 Each set includes 15 laminated, illustrated story cards, plus 17 charming, detailed miniature objects and a guide. 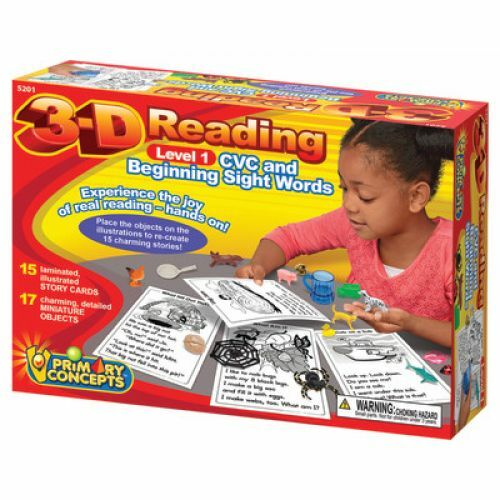 Stories include consonant-vowel-consonant (CVC) words and basic beginning sight words.